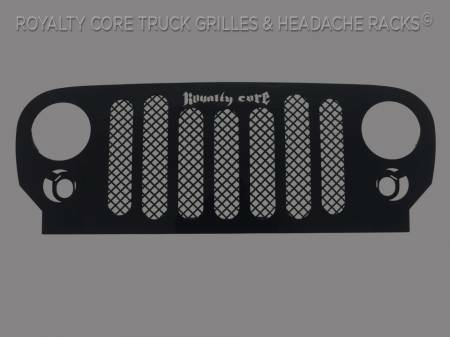 Royalty Core's classic RC1 grille design has clean lines with a dynamic 2-tone appearance for truck enthusiasts looking to make a bold statement. 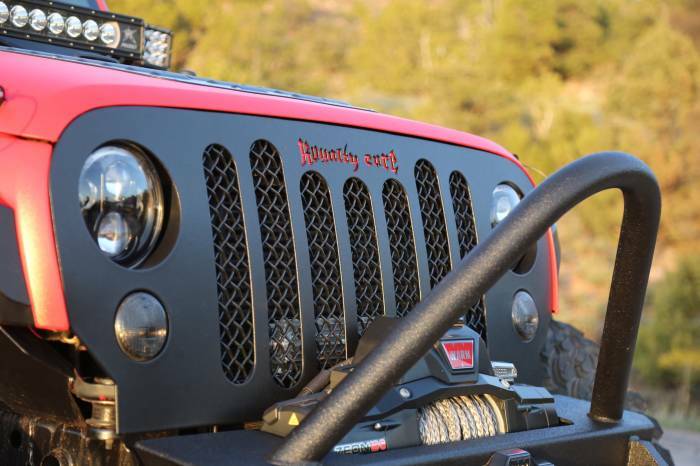 This RC1 design screams 1 custom grille and it shows with a distinct footprint. 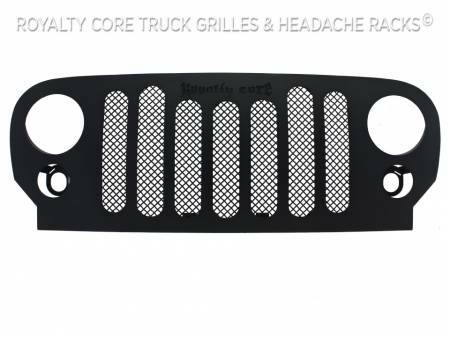 This grille exposes Royalty Core's race proven diamond mesh for accelerated airflow and appearance. 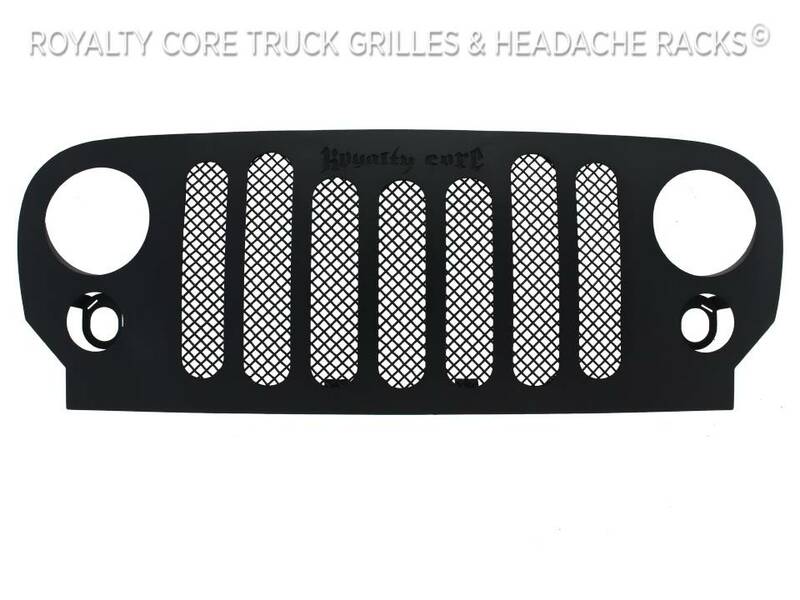 Royalty Core's proprietary corrosion resistant stainless technology creates the most durable grille on the planet. Absolutely every piece is 100% T304 stainless steel. 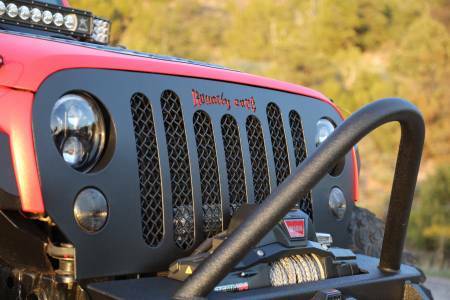 It's engineered to exploit the cleanest installation possible for your specific truck model. 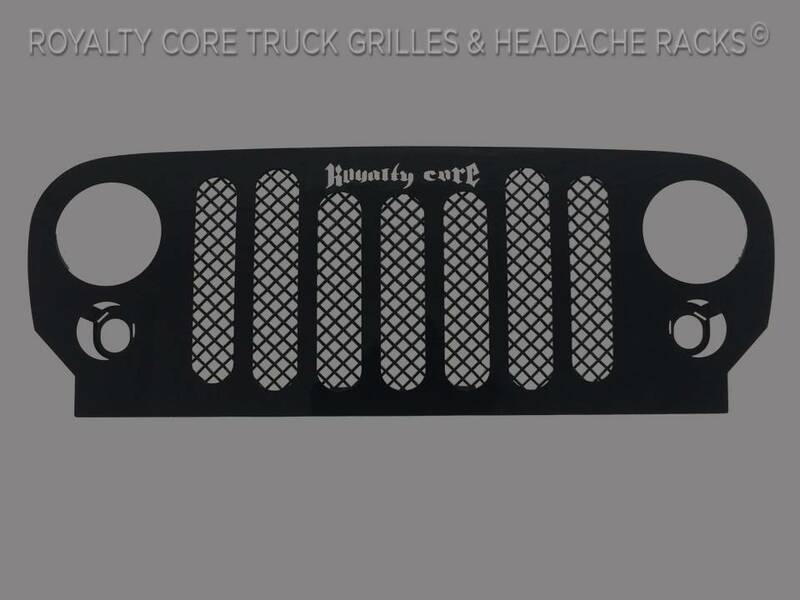 This Royalty Core grille is customized to best match your truck with military grade strength you can count on such as a 12 gauge stainless steel construction, optimal mounting brackets, CNC precision machined brackets, frame, and logos, hand fabricated, all gloss surfaces are buffed to a deep smooth mirrored finish, half inch detailed star point stainless stud design with secondary option for dimension, 5/16 & 3/8 threads, stainless super woven mesh, and absolutely no plastic. Royalty Core offers the industry's largest customized line of grilles and logos available.